On may 23, Carlos Alario PhD from Universidad Carlos III de Madrid visited the MOOCs recording studio in Universidad del Cauca (Popayán, Colombia). 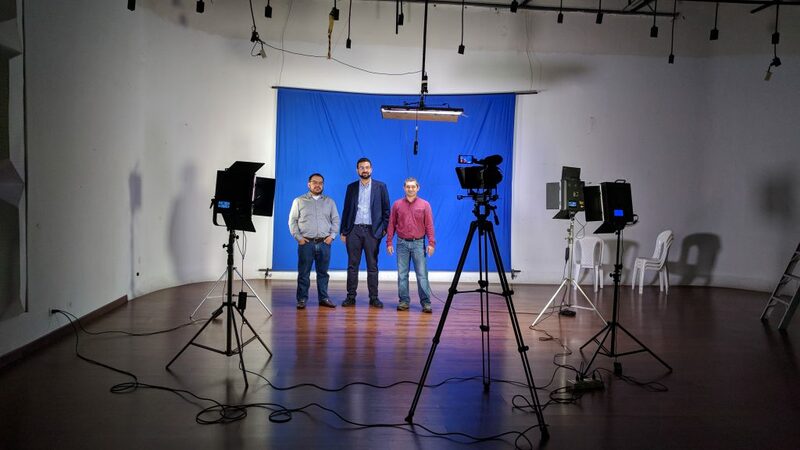 Mario Solarte PhD(c) and Gustavo Ramírez PhD from Unicauca accompanied Dr. Alario during the visit, who had the opportunity to know the recording studio in which the videos for the MOOC „Introduction to Entrepreneurship with Lean Startup“ were recorded. The second edition of this MOOC was implemented in April 2018. Over 590 people have been trained in topics related to key concepts of Lean Startup, differences between product development and customer development, the use of the Canvas template for business models, design of value propositions and validate proposals with potential clients from low-cost experiments.